Wednesday, July 8 1908 -- We're still at the Democratic convention in Denver; the 'anti-injunction' plank in the Democratic platform of 1908 was a response to the courts using injunctions in order to limit the effectiveness of trade unions by making proposed strikes a contempt of court. Bryan strongly supported an anti-injunction plank, but was talked into softening the wording. Connie, November 29 1936, courtesy of Jon Ingersoll. Follow the Connie story every Friday here on Stripper's Guide. Wow... and let me just add... Wow!! Michael Edward Brady was born in Montclair, New Jersey, on July 25, 1896. The California Death Index, at Ancestry.com, had his birth date, and the Brooklyn Daily Eagle, May 13, 1941, named his birthplace. In the 1900 U.S. Federal Census, Brady was the eighth of nine children born to Martin and Celia, Irish emigrants who arrived in 1880. The family resided in Montclair at 192 Forest Street. His father was a driver for a lumber company. Brady was profiled in The Dutch Boy Painter, March 1931, which explained why he wanted to be an artist. …One day in 1907 young Michael Brady was playing near his home in Montclair, when Lawrence Carmichael Earle, noted portrait painter, was passing by. Mr. Earle was thinking of a new picture he was to paint—a portrait of a Dutch Boy as the trade-mark for National Lead Company. Perhaps he was thinking also of Gainsborough's “Blue Boy,” to which the picture he planned was later to be compared. Perhaps he was wondering who could serve as model. However that may be, he saw Michael and knew that his search for a model was ended. The boy was the right size, his eyes were the color he wanted, and the boy’s face held the painter's fancy. The details of the posing were easily arranged. Mr. Earle had access to the studio of his friend, George Inness, not far from the Brady home. Wooden shoes, blue overalls and cap were purchased. The boy was told to wear the clothes at play for a few days so that they would look as if they belonged to him and not like a masquerade costume. Never had Michael felt so important as when he sat on the model stand with the artist before him, busy at work on a canvas. Never had he seen such a room with an immense skylight and plaster casts of heads and torsos and hands and feet. His arm held aloft like the arm of Liberty grew tired, but there were frequent rest periods when he could explore the studio room and see how the work on the canvas progressed. And every day at the end of the posing he received his pay of two dollars an hour…. From the time he first posed, Michael had but one ambition. He forgot his former intentions of becoming a cowboy or a circus acrobat. He was going to make pictures when he grew up. With Mr. Earle as his hero and a print of the portrait of himself as a direct incentive, he spent long hours covering sheets of paper and occasionally fences and walls with his first artistic attempts. Earle’s painting of Brady was published on the cover of The Dutch Boy Painter, March 1922, and can be viewed here. Brady’s father was a widower in the 1910 census; he worked as a gardener for a family. Brady was one of five siblings who lived in Montclair at 28 Washington Street. On June 5, 1918, Brady signed his World War I draft card. He resided in Bloomfield, New Jersey, at 47 Baldwin, and worked for the International Arms Base Company. He named his father as his nearest relative. The description on the card said Brady was of medium height and build with brown eyes and hair. Brady has not yet been found in the 1920 census. According to the Brooklyn Eagle, May 13, 1941, Brady joined the Eagle staff on Labor Day, 1920. American Newspaper Comics (2012) said he was one of four artists to draw the Eagle comic strip, Buttons and Fatty. Originated by Al Zere in 1909, Brady drew the strip from December 12, 1930 to June 21, 1925, and, after a break, from August 2, 1925 to June 17, 1934. Brady signed the strip with his initials, MEB. Also for the Eagle, he produced Dip and Duck, Phonyphotos, Muttering Movies, and The Frog Pond Ferry. According to the 1925 New York State Census, Brady was married to Marie and had a one-year-old daughter. They lived at 255 Decatur in Brooklyn. His occupation was artist. The 1930 census recorded Brady and his three children in Staten Island, New York at 383 Livermore Avenue. The Brooklyn Eagle, April 30, 1934, reported Brady’s second marriage. and the Catalog of Copyright Entries, Part 1, Group 2, Pamphlets, etc., 1936, New Series, Volume 33, Number 3. At some point, Jack Kirby ghosted Our Puzzle Corner for a period of time, and used the pseudonym Jack Curtiss on Your Health Comes First!!! ; details are here. In 1940, Brady was divorced and resided in Twenty-Nine Palms, California, on Cholla Drive. He was a newspaper cartoonist caring for his three children. According to the census, in 1935 he lived in Long Island, New York, and his highest level of education was the eighth grade. Brady’s sudden passing was reported in the Brooklyn Eagle, May 13, 1941. Los Angeles, May 13—Michael E. Brady, former cartoonist for the Brooklyn Eagle, died here Saturday [May 10] of a heart Attack. He was 43. 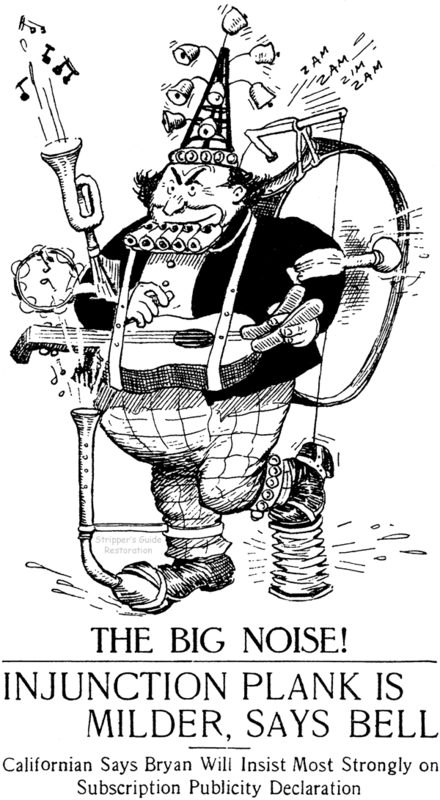 Mr. Brady drew the “Buttons and Fatty” strip, for 15 years a popular feature of the Eagle’s Sunday comic section. He was born in Montclair, N. J., but spent his boyhood and received his education in New York. While still a small boy, with curly blond hair, he attracted the attention of a painter who used him as the model for the Dutch boy in the trade mark of the Atlantic White Lead Company. Interested in art himself, he studied at every opportunity while working to maintain himself. For some time he was employed in a machine shop, rising to the rank of foreman when his career was interrupted by the call to arms in 1917. Injured while in camp, Mr. Brady consoled himself for his disability to go overseas by drawing for the International Magazine, a publication for the International Arms Base Company. He was discharged from the army in 1919 and after a brief period of study in an art school obtained a position with a New York syndicate. 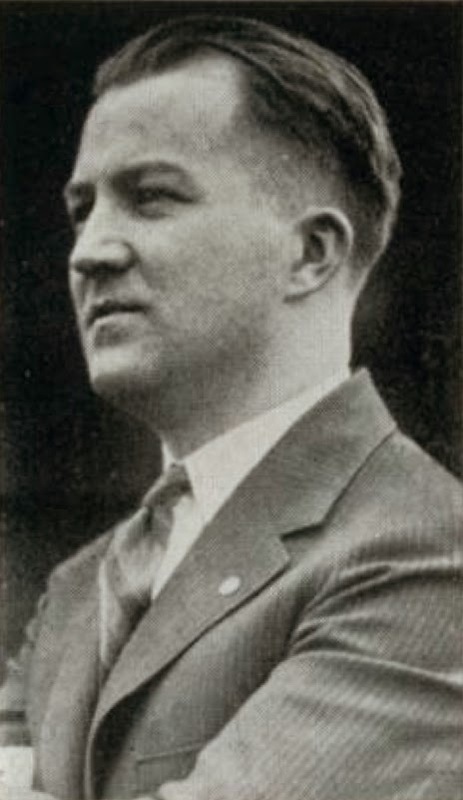 He joined the Brooklyn Eagle on Labor Day, 1920. In 1934 Mr. Brady married Mamie [sic] Janet Rhyne, radio singer known as the Mississippi Song Bird, after obtaining a divorce from his first wife. He is survived by three children. Brady was buried at the Los Angeles National Cemetery. The Brooklyn Eagle didn't let M.E. Brady slip by producing only his Buttons and Fatty Sunday strip each week. In addition, he was also tasked with a companion piece, first titled Dip and Duck. The strip began on December 28 1924 after an intro teaser the week before. Brady didn't labor over this strip quite as hard as the busy and action-packed Buttons and Fatty. The characters were simply drawn animals and the backgrounds were sparsely drawn woodland scenes, but the strip was nonetheless really attractive. 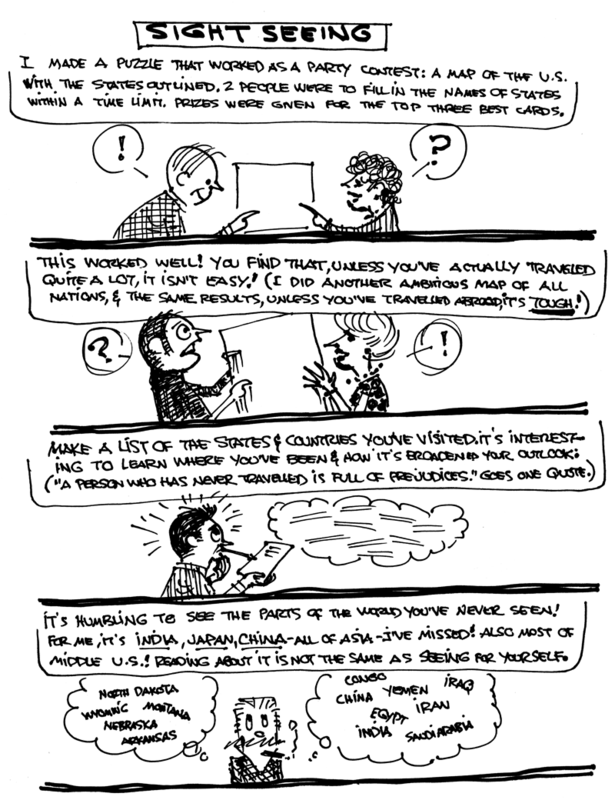 The format of the strip changed over the years; sometimes it was a full tabloid page in the Eagle's children's sections, other times it was a half-tab, and sometimes a daily-style format. The feature also took vacations now and then, presumably when MEB was pressed for time. In 1925, MEB actually turned over the reins on the strip to someone who signed themselves only 'H' for a month in the summer, presumably while he took a vacation. At the start of 1926, the title was changed from Dip and Duck to Forest Falls Folks in recognition of the expanding cast of characters. A year later, though, MEB changed his mind and changed the title back to Dip and Duck. In 1930 the strip settled into a groove of appearing in full tab format in color on a consistent weekly basis. Then on February 28 1932 the final title change was made, to The Frog Pond Ferry. On January 8 1933, the Eagle did some rejiggering of their comics, and Buttons and Fatty was promoted to appearing as a full page in the regular comics section, instead of on the back cover of the children's Sunday tab section. As a full pager in the era of toppers, MEB took the obvious path of making The Frog Pond Ferry into the companion piece to his bread-and-butter strip. Unfortunately, as discussed in our Buttons and Fatty post, this was a terrible move for the syndication of Buttons and Fatty. The new full page combo of the two strips crashed and burned in terms of syndication popularity, and both features ended only a year and a half later, on June 6 1934. It was an unfortunate end to a pair of very long running and undoubtedly beloved features of Brooklynite kids. He is my grandfather too! Lois Millicent Bull was born in New York City on September 18, 1900, according to passenger lists at Ancestry.com. Her full name was found in the 1922 Llamarada yearbook of Mount Holyoke College and the 1924–1925 Catalogue of Columbia University. Her birth came after the 1900 U.S. Federal Census enumeration. Searching for Bull in the 1910 census was challenging. A clue was reported in a death notice from the New York Times, February 21, 1926, which mentioned Bull as the granddaughter of William H. and Mary Augustus Bull. Also named was Bull’s aunt, Mrs. Charles B. Elmer. Bull’s grandparents were found in the 1880 census. They resided in West Springfield, Massachusetts with their two daughters, Susie, 6, and Clara, 3. In the 1900 census, Bull’s mother, Susan, was married to Edwin Levy. The couple were part of Clara’s household; Clara had married Charles B. Elmer. Also in the household was the daughters’ mother. They resided in New York City at 270 West 123 Street. About three months after the census enumeration, Bull was born to the Levys. The 1910 census recorded Bull as “Lois M. Levy”, her parents and adopted brother, Paul, in Springfield City, Hampden County, Massachusetts, at 161 Nilbraham Road. Her father worked as a printer in a printing office. It’s not known why Bull changed her family name. Listed as “Lois Bull" in the 1920 census, she was a student at the Hephzibah House–Bible Training School in New York City at 263 West 25th Street. The date of her enrollment is not known. In fall 1920 Bull was a freshman at Mount Holyoke College in Massachusetts, according to the Springfield Republican (Massachusetts), September 27, 1920. The Republican, October 31, 1921, reported Bull’s membership in the school’s debating team. The May 9, 1922 issue of the Republican said Bull was on the volleyball team. The New York Tribune, October 1, 1922, said Bull’s address was 31 Claremont Avenue, in Port Chester, New York. Bull’s writing talent was acknowledged in the Tribune, March 8, 1920, which published her letter. According to the Augusta Chronicle (Georgia), December 24, 1922, Bull was a student at the Columbia School of Journalism and won a prize for best story, which was titled, “Interview, Mme. Sigrid Onegin of the Metropolitan Opera.” Competing against 15 fellow students, Bull’s prize was a pair of season tickets for the Philadelphia Orchestra concerts. Bull was one of the 3,319 students who received their degrees from Columbia University, as reported in the New York Times, June 4, 1924. She was awarded a Bachelor of Literature in Journalism. Bull’s address in the 1930 census was 116 East 19th Street in Manhattan, New York City. She was a newspaper writer. During the thirties she published several novels: Broadway Virgin (1931), Collect (1931), Mating Woman (1933), The Love Trapeze (1934), Captive Goddess (1935), Seven Make a Honeymoon (1935), Coronation for Cinderella (1937), and Help Wanted, Female (1937). 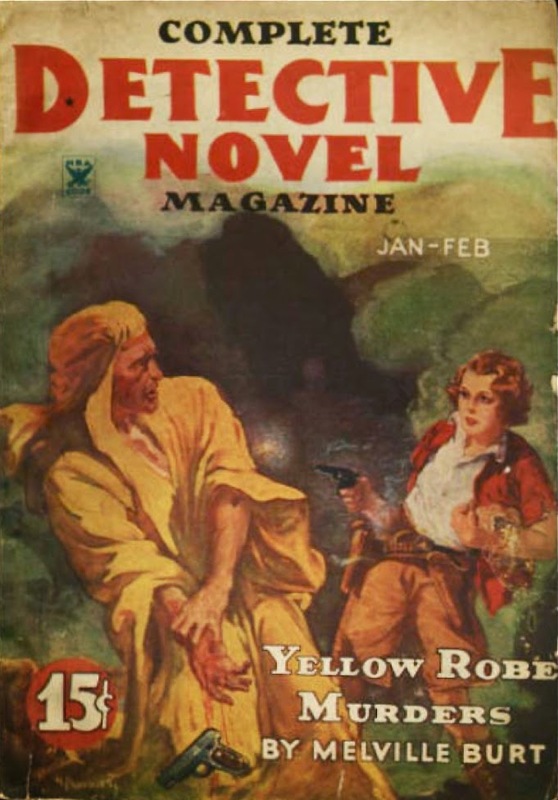 Under the pseudonym Melville Burt, Bull wrote The Yellow Robe Murders (1935), and The Granville Crypt Murders (1936). Her stories were also serialized in the Graphic which syndicated them to other newspapers. In the Graphic, Broadway Virgin ran for 26 installments from March 2 to 31, 1931; and Collect went 36 installments from October 19 to November 30, 1931. Bull’s travels took her to Europe in 1926 and 1929; Cuba in 1927; China in 1933; and England in 1937. In 1957 she sailed on the Queen Mary from France to New York. Bull has not been found in the 1940 census. Sometime in the early 1940s, she married architect Stanton Alfred Habersham, a widower in the 1940 census. On April 26, 1942, he signed his World War II draft card, which had on it “Mrs. S.A. Habersham” and their address, “7 W. 15 St. N.Y.C.” He passed away July 6, 1948, according to a death notice in the New York Times, July 8, 1948. During the Forties, Bull wrote three books under the name Cecily Bowman; Dreaming True (1945), Forever Yours (1946) and Tomorrow’s Promise (1947). Using her own name, Bull’s novel, Gold Diggers, was published in 1949. In 1961, Bull renewed the copyright on several of her works. She had written several short stories for Complete Detective Novel Magazine: “Death Rides Engine Thirteen” (June 1933), “The Trail of an Heiress” (July 1933), “The Missing Finger” (November 1933), “Murder in the Air” (November 1933), “The Jig Saw Murder” (December 1933), “The Sodium Chloride Alibi” (January 1934). Another pseudonym she used was Dale O’Hara. 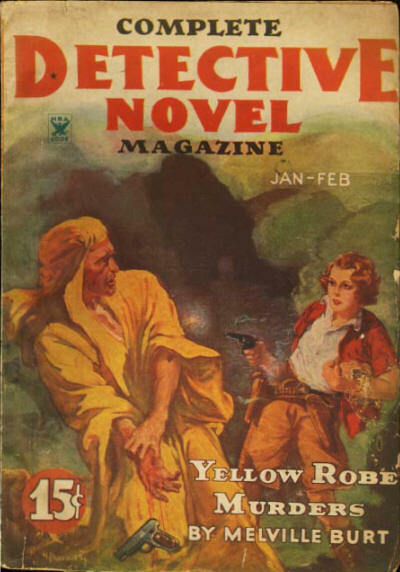 The magazine also published “Yellow Robe Murders” (January-February 1935) under her Melville Burt pseudonym. A few more copyright renewals in 1964 revealed another pseudonym, Judith Grovner Wright. Bull passed away September 21, 1971, according to a death notice in the New York Times published on the 25th. Thanks for the info! I've read "Broadway Virgin" and "Collect" recently and loved them both. Nice to learn more about Bull. And you mention her publishing "Gold Diggers" in 1949 under her own name, but it turns out "Gold Diggers" was just a flashier title for the reprint of her book "Collect". If you look at the "Gold Diggers" cover underneath the title "Collect" is written! Do I really need to offer a reason to post a few more samples of Antics of Arabella? Nah, I thought not. For background on the strip, see this post and this post. The reason Cole Johnson sent me these particular examples (from 1932 and 1931 respectively) was as proof that the feature was NOT in reprints after 1929, as I said way back then. Although for some odd reason the copyrights are old, the cheesecake pics are certainly current, as the shows these gals were in were running in 1931/32. No way they would have had Charlotte Stoll and Bee Sullivan doing calisthenics together by happenstance five years earlier, for instance. Ruth Gordon was in Hey Nonny Nonny. It lasted only 32 performances in 1932.